Authorization letters are designed for a significant reason. They officially give authority to a particular person to carry out some action on behalf of the former. Authorization letter to claim are widely used for the official purpose to make jobs easier for everyone. For instance, if you want money to be collected on your behalf, then sending an authorization letter it very important for smooth processing. Simple authorization letter is a very short and sweet one which includes the authority that is been passed on. Letter of authorization to act on behalf of a company or authorization letter to represent on behalf of company are few very common types. 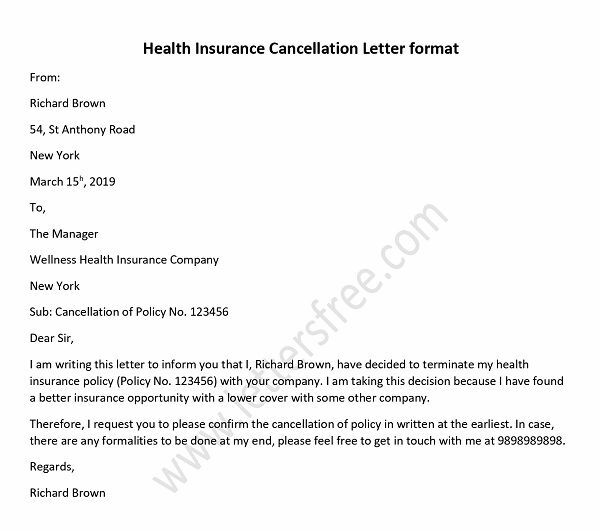 We bring for you sample Authorization letter. Use this Authorization letter format to create your personalized letter. 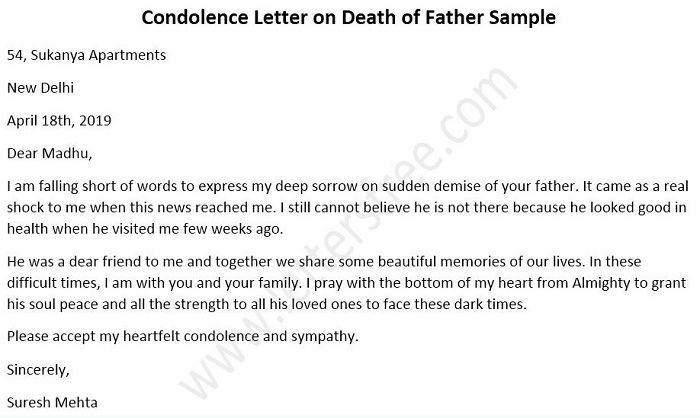 This company authorization letter for employee sample is a short and professionally drafted letter to use. I, Edward Smith, maintain a CC account with your esteem bank for my company M/s Smith Enterprises. I have to make an urgent withdrawal of $ 15,000 but I am not present in town to make the withdrawal of a high value. 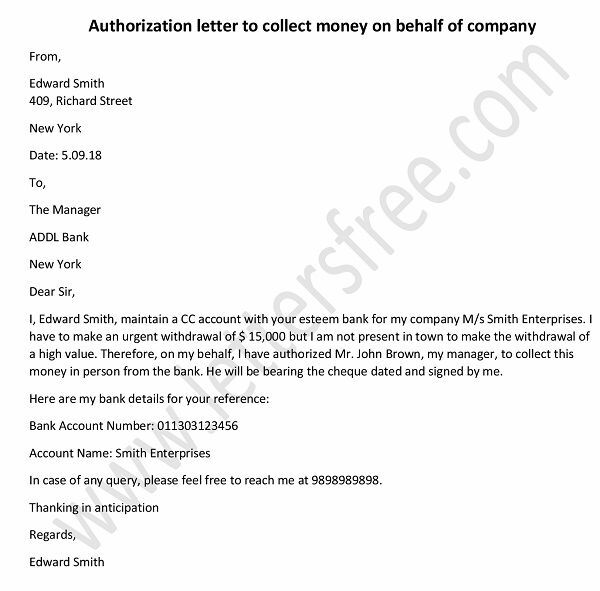 Therefore, on my behalf, I have authorized Mr. John Brown, my manager, to collect this money in person from the bank. He will be bearing the cheque dated and signed by me. In case of any query, please feel free to reach me at 9898989898. Given Below are a few Sample Authorization letter for a clearer Idea. Authorization Letters are very important letters designed for official communication. Travel authorization letter is to be written by person who gives permission to some other person to carry his/her belongings, valuables or to travel with his/her minor child/children. Third party authorization letter is a formally written document stating that an individual/company is authorized by the appropriate individual/party/authority/company to undertake a certain action with permission. Tender authorization letter is an important business letter addressed to the governing and administrative body of the tenders. 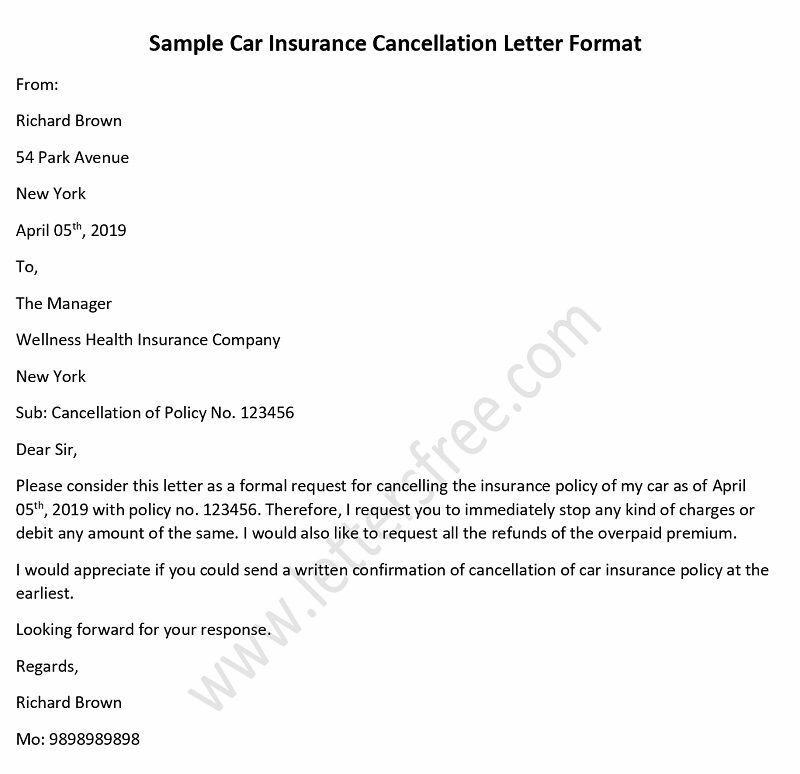 Distribution authorization letter is a formal letter addressed by a manufacturer, company or organization to provide distribution rights of its material to some other company. Parental authorization letter is a notarized letter from the real parents to given authorization to the non-parent to support the child.